I’m going to start out this blog with a genuine question that I’ve been curious about for a while. Why do people make pickled onions when lacto-fermented onions have so many more benefits? I ask because the reason I made lacto-fermented red onions for the first time was because a friend had made pickled onions using vinegar and sugar. They were OK but the taste of vinegar was quite apparent. I knew right away I had to try the lacto-fermented version. Sure enough, in my opinion anyway, the lacto-fermented red onions were MUCH tastier. They tasted fresh, pleasantly sour and well, didn’t make my mouth pucker. But pickling via the use of vinegar and sugar seems to be the far more common home preparation. 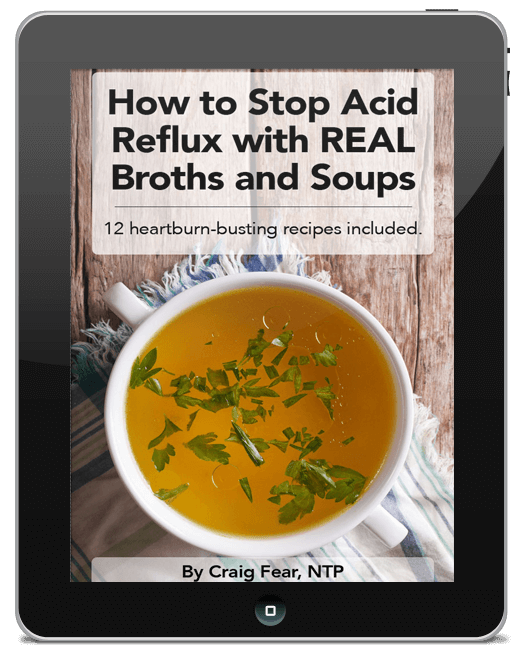 The word “pickling” is often used interchangeably with the word “fermenting” but for the most part pickling refers to preserving foods in an acidic medium at a high temperature (often in a water bath) which destroys the enzymes and probiotics. 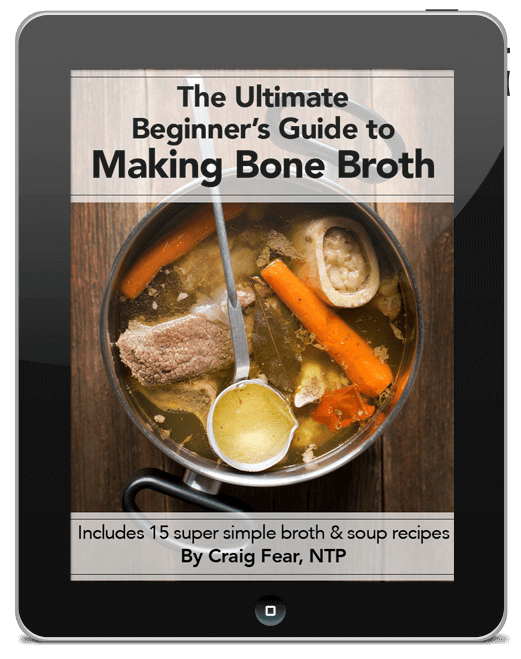 Lacto-fermentation is a natural preservation process that uses just salt and water. It enhances the probiotic and enzyme content. I understand that food companies prefer pickling because this method allows for a more uniform product with a longer shelf life. But why do people do this at home when it’s more time-consuming, less tasty and less healthy? It’s not like you need to preserve vegetables for three years at home. Lacto-fermentation will also keep foods preserved for long periods. Did pickling become fashionable at a certain time in American history for some reason? Do people really like the vinegary taste better? Is it just me? I really don’t know. If you know, please comment below. I’m genuinely curious! So if you’ve never made lacto-fermented onions or pickled onions before, make the lacto-fermented version! Use them on salads, burgers or anywhere you usually use red onions. Lacto-fermented red onions will have a sour albeit less pungent flavor than raw ones. Preparing lacto-fermented red onions won’t take you more than ten minutes from start to finish. Ok, here’s how you do it. 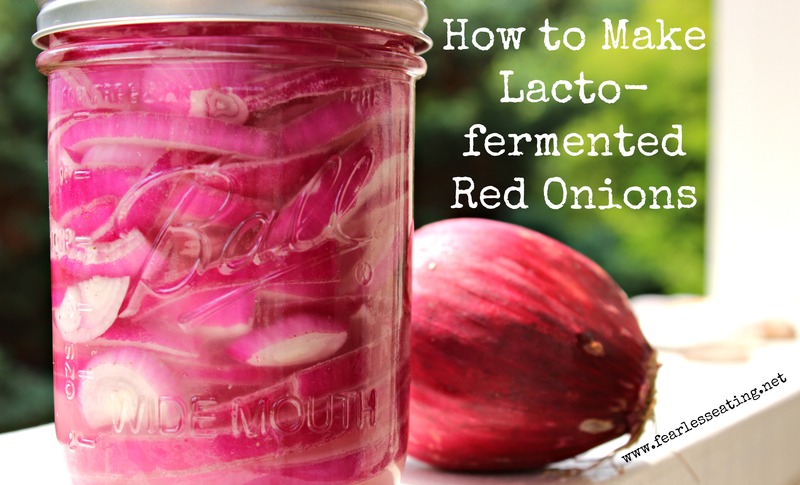 Red onions, water, salt and a starter culture are all it takes to make lacto-fermented red onions. They are not as common as pickled onions but they're easier to make, tastier and healthier! Pour brine over onions and tilt jar a few times to mix well. Leave one inch between the top of the jar and the top of the brine. Use a weight (find a good source for fermenting weights here) to keep the onions under the brine, if necessary. Let sit on counter for three to seven days. Use an airlock lid (find a good source for airlock lids here) or burp the jars (meaning just open them) every day to let out the gasses that are a natural byproduct of fermentation. If the water level rises, simply pour some out. Enjoy on salads, burgers or anywhere you usually use red onions. Fermented red onions will have a sour albeit less pungent flavor than unfermented ones.